Corporal Richard “Ricky” Schoener was born in Hayes, Louisiana in 1982. 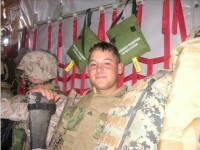 He graduated with honors from Bell City High in 2001, and enlisted in the Marine Corps that same year. He attended recruit training on Parris Island in 2001, and then attended the School of Infantry at Camp Geiger, North Carolina, in 2002. After graduation, he then attended the Security Force Close Quarters Battle School. In 2003, he was assigned to Marine Corps Security Force Regiment in Kings Bay, Georgia. In 2004 he received orders to Marine Corps Base Hawaii and was assigned to Kilo Company, 3rd Battalion 3rd Marine Regiment. In November 2004, he deployed to Afghanistan as part of OPERATION ENDURING FREEDOM, where he was killed in action on 8 May 2005. 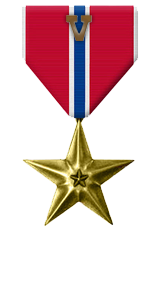 His personal awards include the Bronze Star with a combat distinguishing device, the Purple Heart, and the Combat Action Ribbon. For heroic achievement in connection with combat operations against the enemy while serving as 2d Fire Team Leader, 2d Squad, 2d Platoon, Company K, 3d Battalion, 3d Marines, Combined Joint Task Force-76 in support of OPERATION ENDURING FREEDOM in Afghanistan. 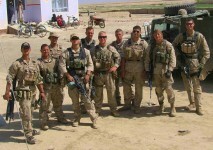 On 8 May 2005, while conducting security patrols in the Mayl Valley, Alishang District and Laghman Province, Corporal Schoener’s squad became the assault element in the counter-attack against an Al Qaeda and Associated Movement ambush position. Corporal Schoener became the point man for his squad while leading his fire team and closing with the enemy under the cover of close air support. Upon closing with the enemy position and while conducting a search of an enemy body, Corporal Schoener and a fellow Marine noticed movement in a fortified cave just ten meters from their position. With little regard for his personal safety, Corporal Schoener valiantly assaulted the position to clear it of enemy personnel. In the process, Corporal Schoener received multiple wounds from enemy automatic small arms fire. Despite his wounds, Corporal Schoener continued to fire on the enemy position while covering his fellow wounded Marine and identifying the enemy position to the remainder of his squad so that they could position themselves appropriately. Corporal Schoener continued to fire from his exposed position until mortally wounded by two enemy fragmentation grenades. By his zealous initiative, courageous actions, and exceptional dedication to duty, Corporal Schoener reflected great credit upon himself and upheld the highest traditions of the Marine Corps and the United States Naval Service.